Welcome to the website of the EPB Preservation Group (EPBPG). 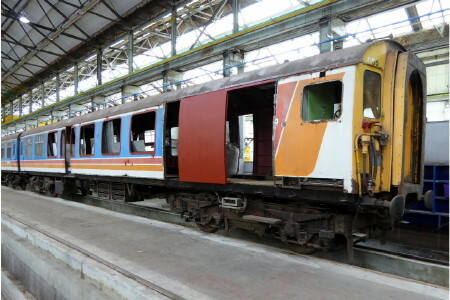 We are a registered charity (1132225) dedicated to the preservation and restoration of third rail electric multiple unit (EMU) trains that have operated on the former Southern Region of British Rail. We have a dedicated team of volunteers who restore and operate our trains, and are always looking for more. Others work to raise funds, man the sales stand and carry out admin duties vital to the running of a charity. Membership costs only £20 per annum (£16 concessions) and entitles you to participate in all of these activities and you receive our full colour "EPB Magazine" 4 times a year, keeping you in touch with EPBPG news. Please do consider joining us, see membership page for further details. 2EPB 5759 at Slade Green open day 2017. Ramsgate Open Day-- Our units are now looking forward to Saturday June 8th 2019, when there is a public open day at Ramsgate Depot, watch this space for further details. 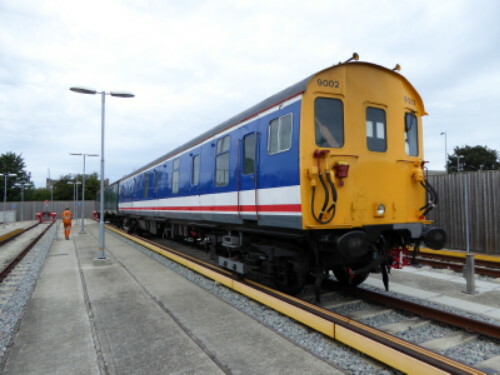 MLV 68002 (pictured at South Eastern Trains Ramsgate depot staff open day on Saturday 29th August 2015) and 2 EPB 5759 have appeared at the Slade Green Depot open day on Saturday 15th July 2017. 68002 was the first privately preserved EMU to visit such an event when it visited Ramsgate in 2015 (see above for the return visit) . Our volunteer restoration team put in over 100 man days to prepare our units for this special event. The EPB Preservation Group are on Twitter, follow us at twitter.com/epbpg. Ride the full size trains and buy the models from us, all profits go to restoration. Click on the Bachmann logo to go to the model sales page. This website and it's contents are copyright The EPB Preservation Group (charity 1132225). Please ask permission if you wish to use any contents from it.